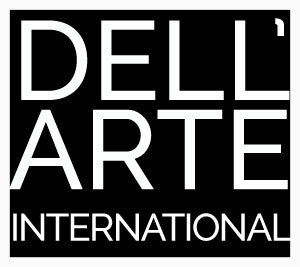 Dell’Arte International has a variety of scholarship partnerships that make it possible to offer some scholarships to students. Requirements for each scholarship are listed below. Please note that application and acceptance to the program is necessary for scholarship eligibility. Please note that for the most part, the scholarships we are able to offer are partial and limited. We wish it were otherwise, but this strategy allows us to impact the largest number of students. For this reason, we encourage all applicants to seek multiple external avenues of funding. (The Carlo): named after our Founder, this is a partial-tuitionscholarship whose amount varies year to year, but is typically in the range of $8000-9000. All international applicants are eligible and automatically considered for this scholarship upon acceptance to the program. This award generally is offered to artists living in countries with more limited resources or access to the kind of training we offer at the school. Since we have a very international student body (nearly 50% in 2015-16) and only one Carlo award, we strongly suggest that international students actively seek additional funding sources. The Jane Hill Scholarship was established in 2013 to honor Jane’s lifetime dedication to theatre, Dell’Arte, and the national performing arts community. This partial tuition scholarship is offered each year to one student, based upon need and with the goal of increasing student body diversity. Dell’Arte staff selects the recipient. Scholarship amount is $3000 annually. Jane Hill was a Co-Founder of Dell’Arte, where – among other roles – she taught melodrama. Her leadership in the performing arts has included Executive Director for Opera Omaha, the Sacramento Philharmonic, and the Eureka Symphony. Jane’s consulting business—artSMART—serves non-profit organizations with a variety of workshops. Past awards include the Greater Omaha YWCA Woman of Vision Award, the Arts on the Green Award for arts service, and being named Arts Executive of the Year by the Sacramento Arts & Business Council. Theatre continues to be her first love. In 2017, Jane directed a much-praised production of Arthur Miller’s ”All My Sons” for Ferndale Repertory Theatre. African-Canadian Henry Shikongo received the first Jane Hill Scholarship in 2013. Previous to his Dell’Arte training, he received a MFA in Acting from the Institute of Advanced Theater Training at Harvard University, and is now a professional actor/teacher at SUNY Oswego. Iranian native Vida Tayebati graduated with a MFA in 2016. Prior to discovering Dell’Arte, she was studying theatre and devising new works in covert locations in Tehran. After she investigated different theatre programs in Europe, she discovered Dell’Arte’s unique physical theatre program and ventured to Blue Lake contributing her courage on and off the stage. Fellows include (in order of recency): Everson Ndlovu, Teddy Mangawa, Francisca “Nyari” Nyaradzo Nhongonhema, Tafadzwa “Bob” Mutumbi, Chipo Chikara, and Lloyd Nyikadzino. In the interest of social justice, and in an effort to assist materially the representation of all people on stage (both at Dell’Arte itself and across the US and world), Dell’Arte International offers a half-tuition-and-fees scholarship to the Professional Training Program and to the first year of the Master of Fine Arts Program to artists of color who are US Citizens or permanent residents. Two awards will be made annually. Eligibility is contingent upon acceptance to the program; if you wish to be considered, please contact Dell’Arte’s Director of Admissions, Matt Chapman, within two weeks of your acceptance to the program. Selection is determined by a combination of both merit and need. Applicants will be required to submit a FAFSA form and a one-page statement of financial need. Recipients will be announced in the month of May (before the school year which begins the following Fall). Non-US citizens/permanent residents and foreign students are not eligible for this scholarship. However, please see our list of other scholarships on this page for more information. An award of $2000-4000 is offered to one student whose intention is to utilize their training to affect social and/or political change. To be considered: please submit, upon acceptance to the school, a one- to two-page statement which explains how you intend to put your training to use in the future, and the change you would like to see in the world. This award is for tuition only, and selection will be announced in the month of May (before the school year which begins the following Fall)..
An award of $2000-4000 is offered to a student who has been making work in the world and wants to return to training. To be considered: please submit, upon acceptance to the school, a one- to two-page statement about what your career has consisted of thus far, and how you feel that the training would alter your trajectory. This award is for tuition only, and selection will be determined in the month of May (before the school year which begins the following Fall). This $1000-3000 award is for artists new or relatively new to training. Recent college/university graduates are eligible as well. For consideration: please submit, upon acceptance to the school, a one- to two-page statement about your artistic desires and intentions as an artist entering the field/world. This award is for tuition only, and selection will be determined in the month of May (before the school year which begins the following Fall). This partnership provides an award to a PTP/MFA student towards tuition. Applicants who work with Dell’Arte representatives at any of the eight KCACTF Regional Festivals are eligible for this scholarship upon acceptance to the program. In April each year, at the national festival in Washington D.C., the Admissions Director selects a recipient from the Irene Ryan Acting Contest Finalists. The Kennedy Center funds the student’s tuition, travel, and housing for the Dell’Arte Summer Intensive Workshop. This partnership provides a $4000 tuition award to a Canadian artist. All Canadian applicants are automatically considered upon acceptance to the program. Students at Dell’Arte who are US citizens and enrolled in either the Professional Training Program or the Master of Fine Arts Degree program are eligible to apply for Federal student loans. To begin the process, visit www.fafsa.com to fill out the free application. The school’s FAFSA code is 030256. The Fulbright Foundation: International students should search online for “Fulbright” plus the name of your country. Fulbright has different programs in each country, and you’ll have to do research to determine if they might be able to support your training at Dell’Arte. We have had Fulbright scholars attend the school with that funding in the past.